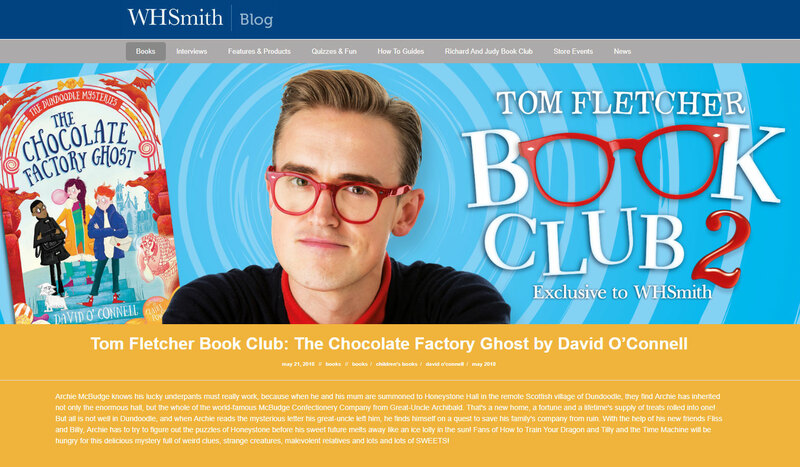 I’ve had to keep this a secret for so long so it’s a relief that the news is finally out: on Monday the new books for Tom Fletcher’s WHSmith Book Club were announced, and The Chocolate Factory Ghost was amongst them! 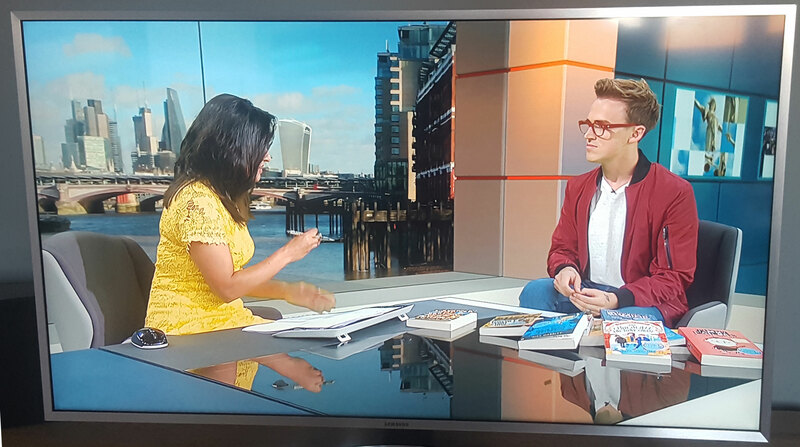 I’m really thrilled and honoured that one of my books has been associated with such a high profile initiative – it’s very exciting! 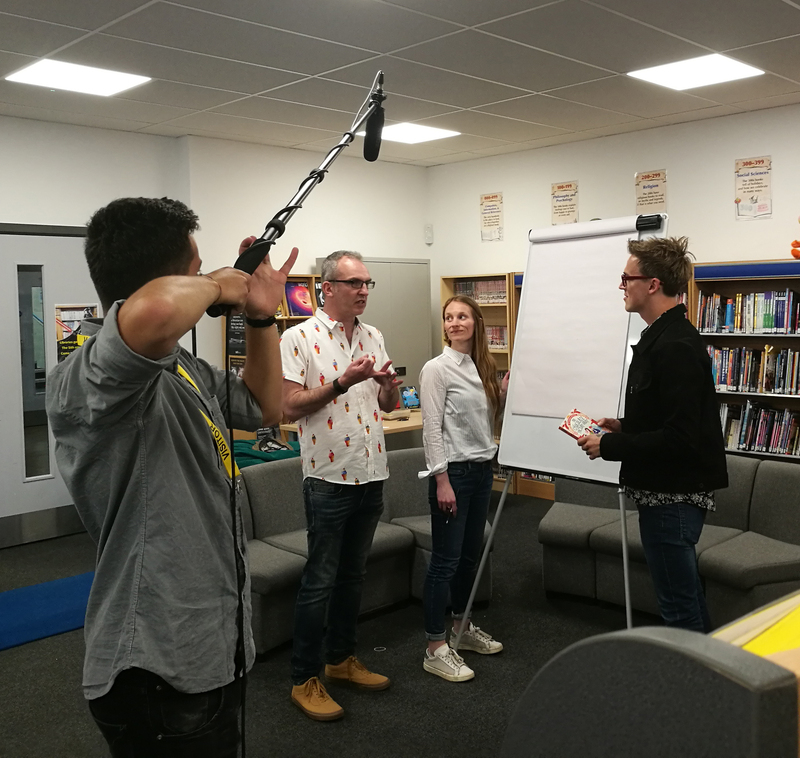 Then we went to the school’s lovely library to film some promotional material. 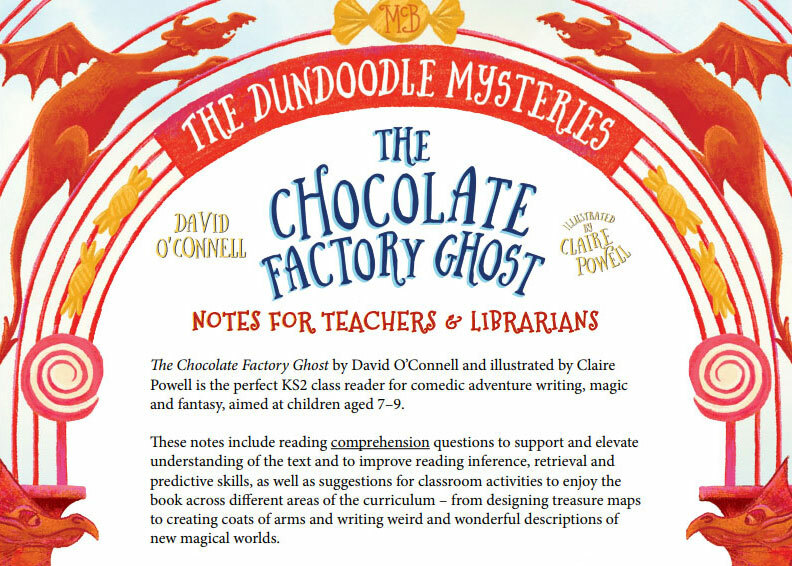 Here’s me chatting to Tom about the book just before Claire did some choc-related drawing! You’ll be able to watch all the videos over on Tom’s Youtube channel over the next couple of months. Tom worked extremely hard all day – he even appeared on ITV London News the next evening, promoting the Club. The CFG was very visible on screen – even getting its own close-up! The Book Club picks get their own display stand in WHSmiths, where they can be bought as a bundle. 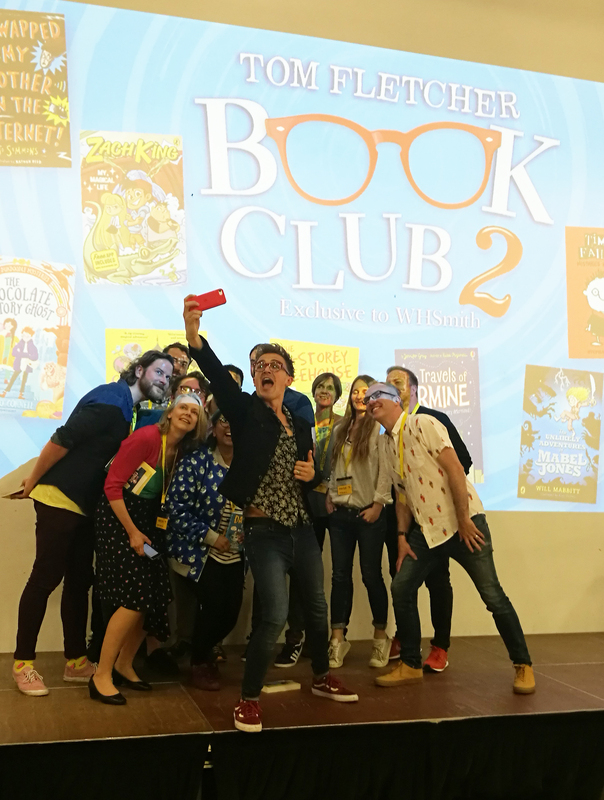 There’s information about all the books on the WHSmiths site, including Tom’s thoughts on them. 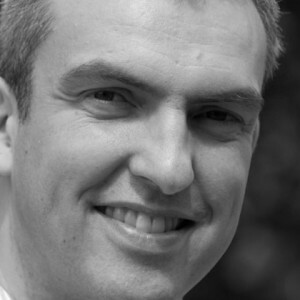 I noticed there are some teaching resources for The CFG there too, which I’ve not seen before. 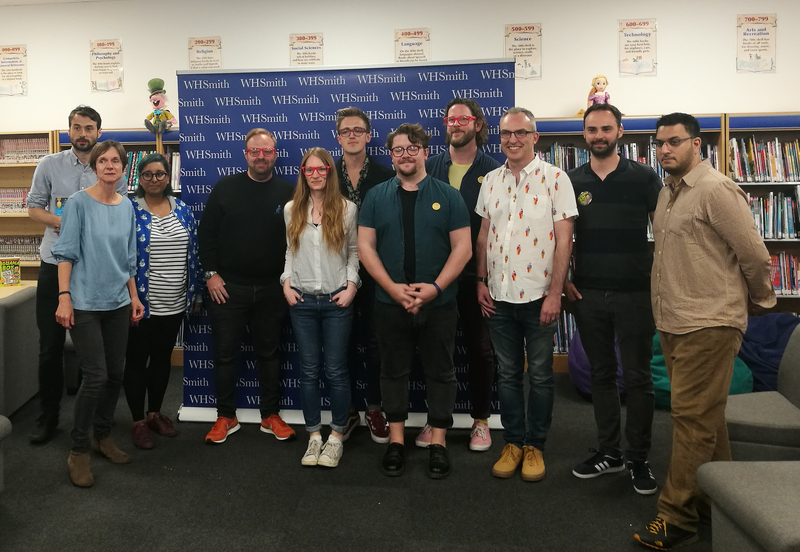 Thanks so much to Tom and the WHSmiths team for having us and for all their hard work!